There are a million recipes for play dough on the web, and that in itself can be quite off-putting when you’re just looking for something quick and simple. 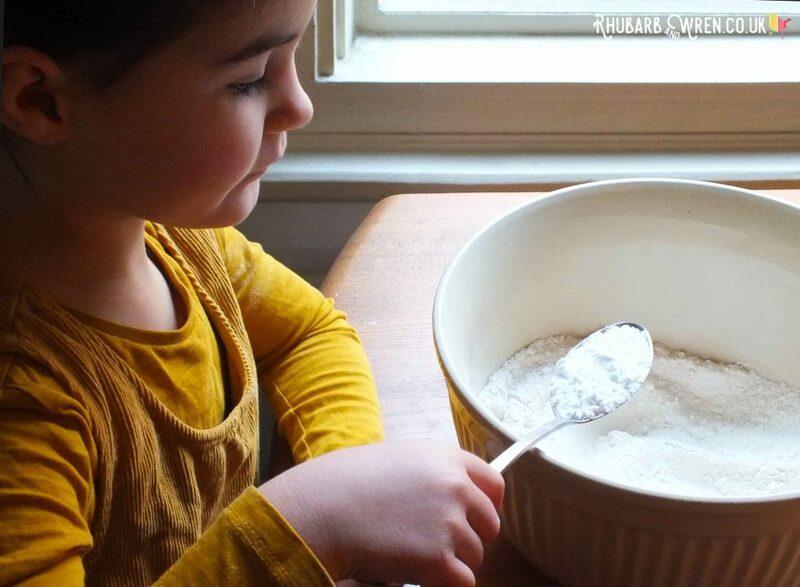 Our recipe here is one of the ‘no-cook’ varieties, just because we like to make a batch quickly and with as much kid-involvement in the making as possible. This dough can be made in minutes and has great texture that is pliable, soft and holds its shape well. The benefit of it being so quick and easy to make is that I’m happy to help the kids whip up another batch if they want to try different textures, colours, or scents. 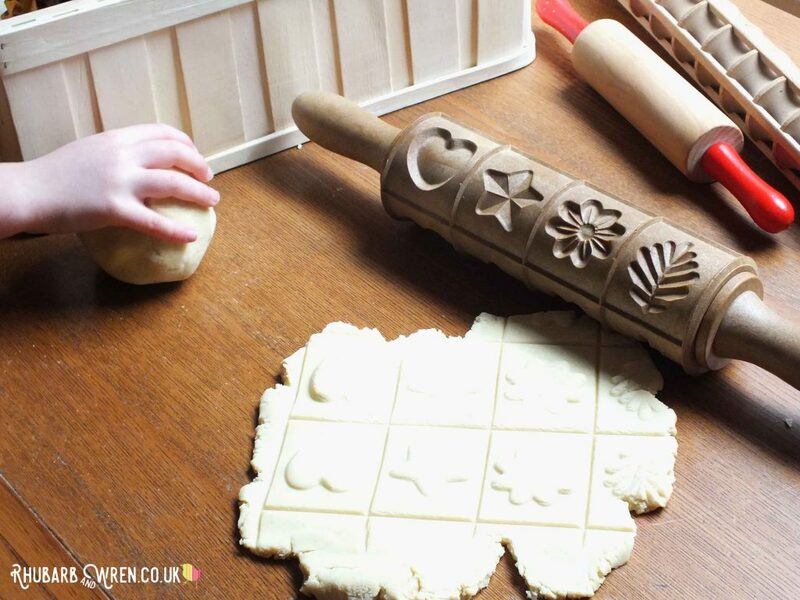 It’s the perfect ‘beginners play dough’, so give it a try! 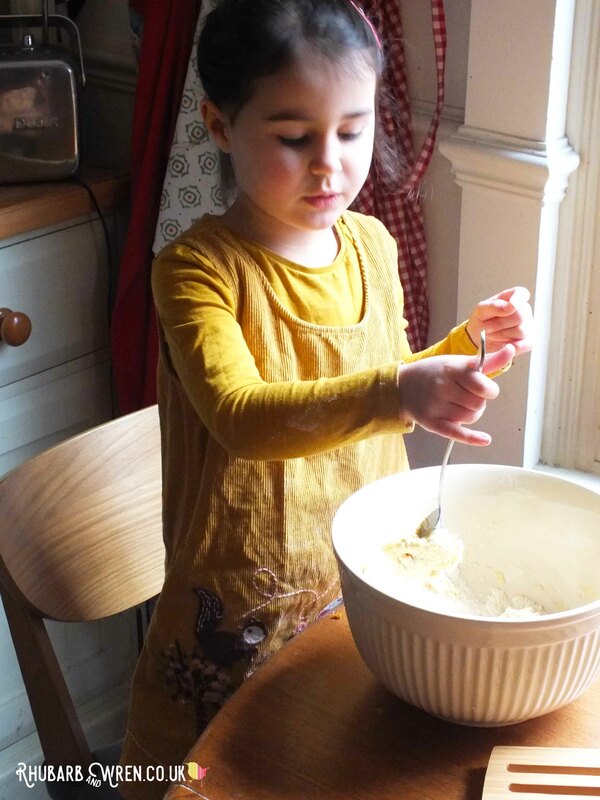 Play dough is made with just four key ingredients, most of which you’ll probably already have in your kitchen cupboards. Cream of Tartar is the ingredient that some people find difficult to get hold of, but I’ve found most UK supermarkets do stock it. Usually you’ll find it in 140g tubs that are big enough to see you through a half dozen or more batches. It is even cheaper (and easier) to order larger quantities online so – affiliate link alert! – check out the link to Amazon in the list below if you have any problems getting hold of it. 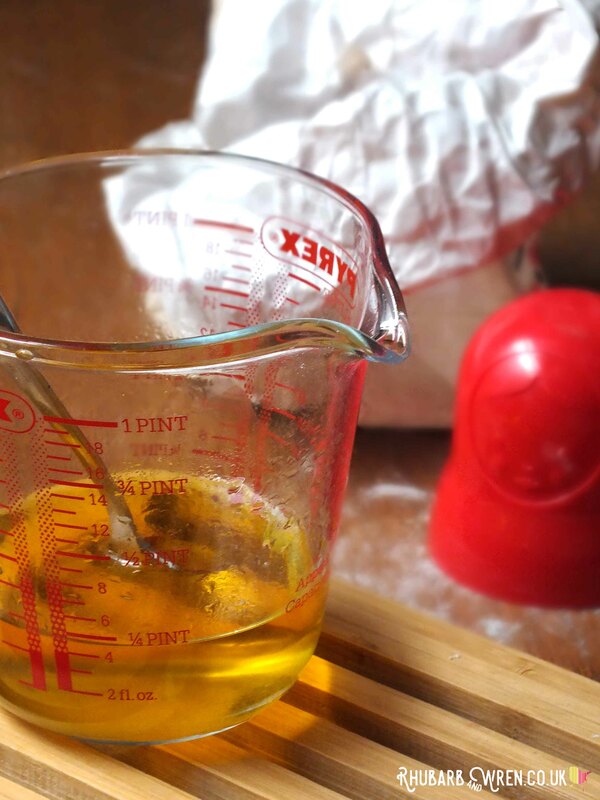 2 – 3 tbs vegetable oil (I use olive oil or whatever I have to hand if I’m out of this). As you can see from this list, you basically need twice as much flour as salt, with a few tablespoons of cream of tartar and oil, and enough water to bind everything together, so it’s pretty easy to scale the quantities up or down. 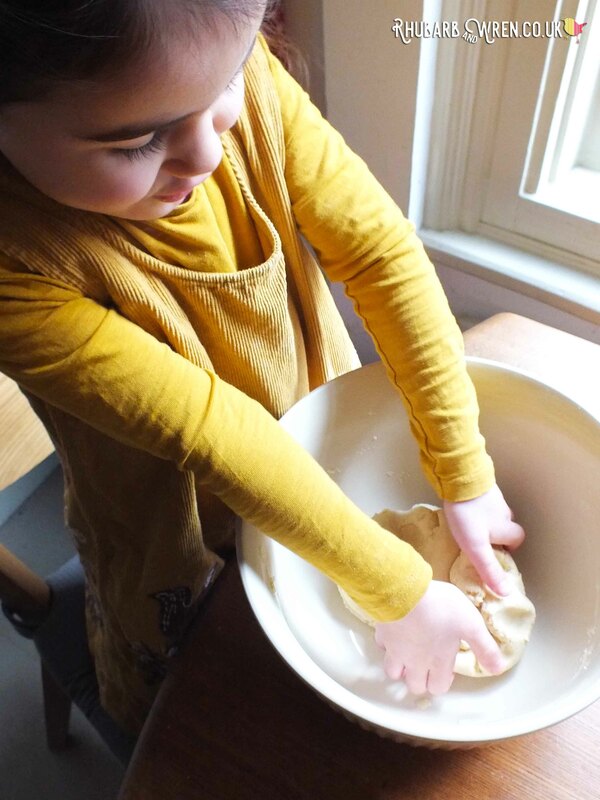 However the recipe here makes a nice amount that could easily be divided into three or four (before you add the water) if you want to make different colours, and makes the kids plenty of dough that is enough for two or three children to play with together. Glycerine liquid (for extra pliability and shine – note that this link is for food grade glycerine but some versions are for external use only. 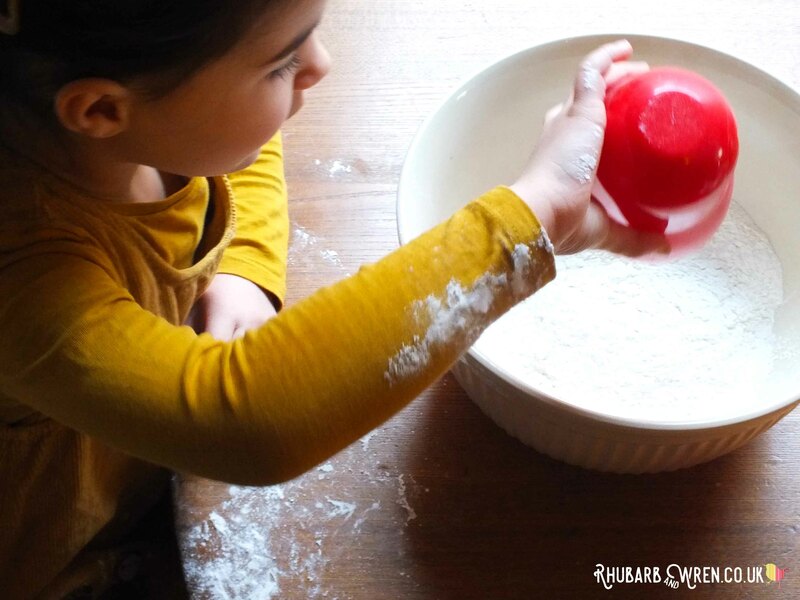 Glycerine is also great for adding to bubble mixture for bigger, longer-lasting bubbles!). 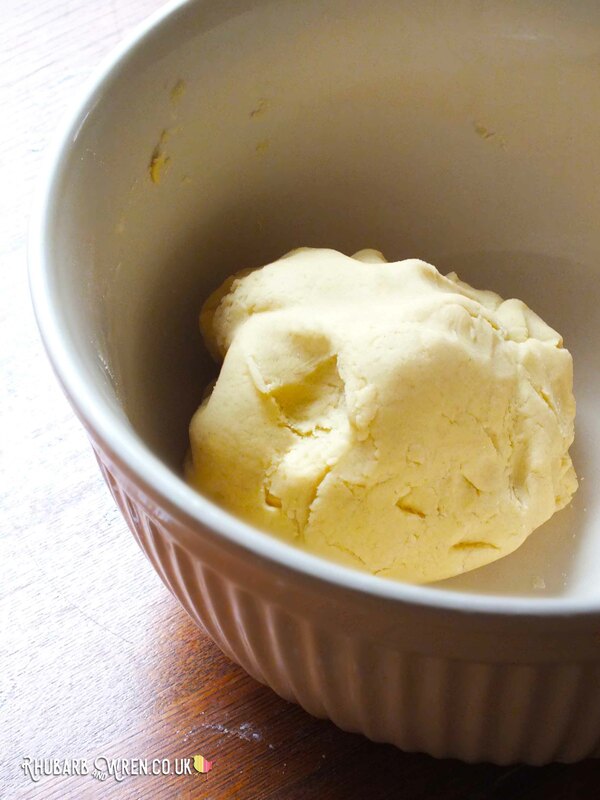 You need just four key ingredients to make this simple playdough recipe. The recipe on this page uses pretty standard materials that you probably already have. If you need to stock up, here are some examples from Amazon of the types of things we used. These are affiliate links, which means that if you click through and buy, I will receive a small amount that goes towards the running of this website without costing you a penny extra. Thank you for your support! 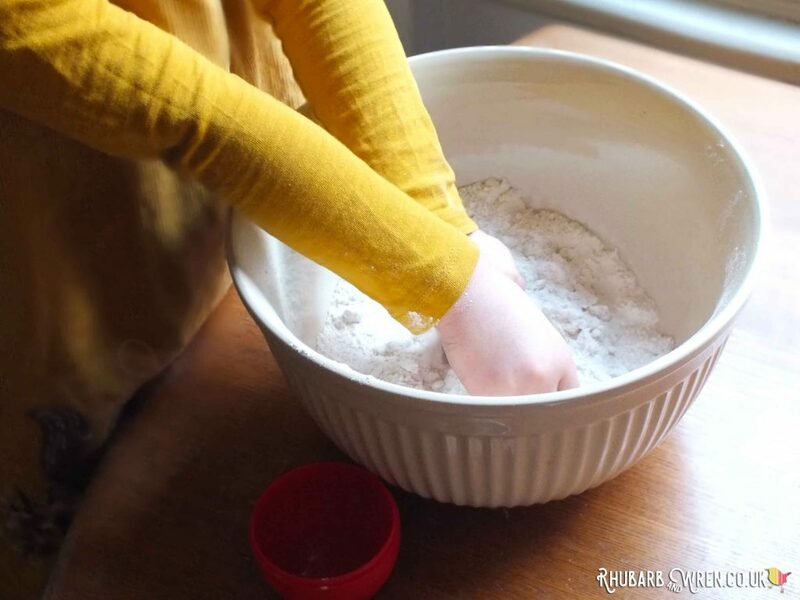 This play dough recipe is so easy, it really does only take minutes to make! I like to get the kids doing all the work whenever possible (Victorian family values rule! ), so other than handling the boiling water, everything is measured and mixed by them. That’s how easy it is. 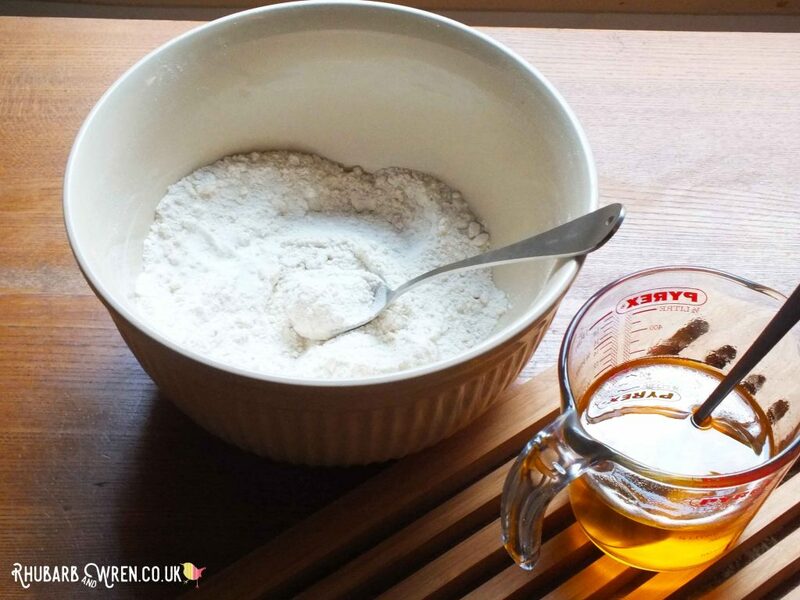 Measure out your flour and salt into a large mixing bowl. Add your spoonfuls of cream of tartar. 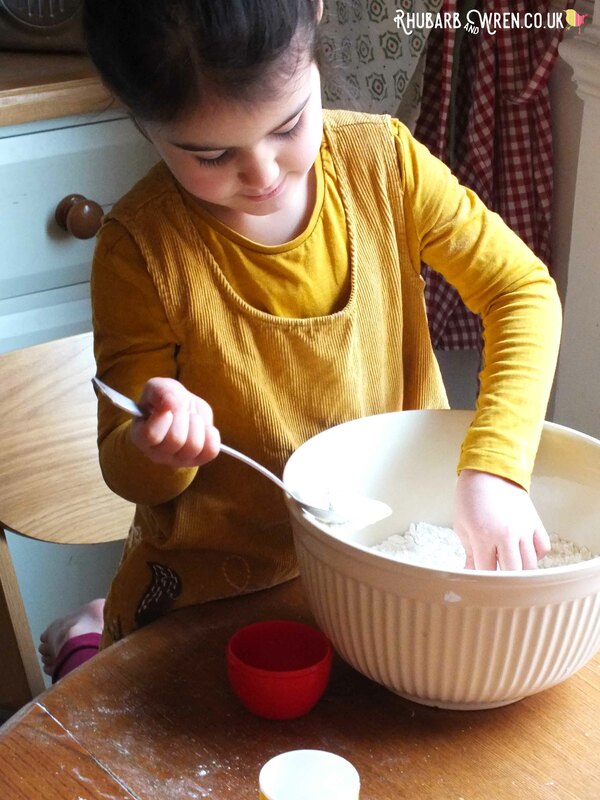 Carrying out ‘grown up’ tasks, like following this play dough recipe, helps builds kids’ self confidence. Give the dry ingredients a little stir. Add your tablespoons of cooking oil and mix in. You will find the mixture forming large lumps or crumbs. As soon as you add liquids to the mix, the whole texture changes. My kids like using their hands at this stage! In a separate jug, measure out your boiling water and add a few drops of food colouring or scent if required (for this particular batch I used – affliate links again! – a dab of Wilton’s golden yellow food gel colour and a few drops of orange oil that I had in the cupboard that made for a seriously delicious scent). Playdough that smells and looks great. Stir water for a moment until colour and scent is fully dissolved. Pour a little of the liquid into your mixing bowl with the other ingredients and stir. In just a few seconds it will start to clump up into a ball of dough. Stirring this mixture gets harder. 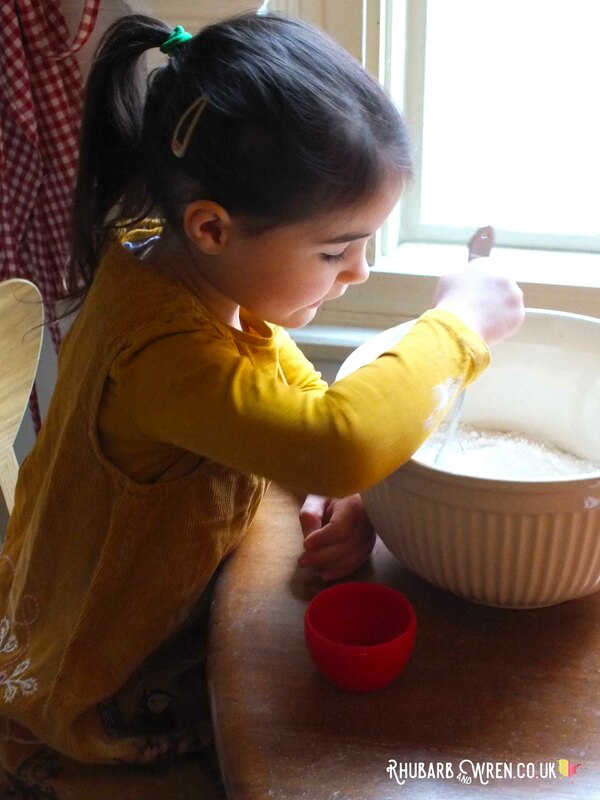 Use your hands to mix and knead the contents of the bowl together, but be aware that it may be hot from the boiling water, so check before allowing the kids to do this bit. I find that the water has usually cooled down enough that just a quick stir with a spoon to mix the water in with the ingredients in the bowl is enough to bring the temperature right down. Time to use their hands! Continue to gradually add the liquid until all the ingredients have combined into the dough ball. You might find that you don’t need all the water, so keep checking the consistency of the dough as you add it to avoid putting in too much. 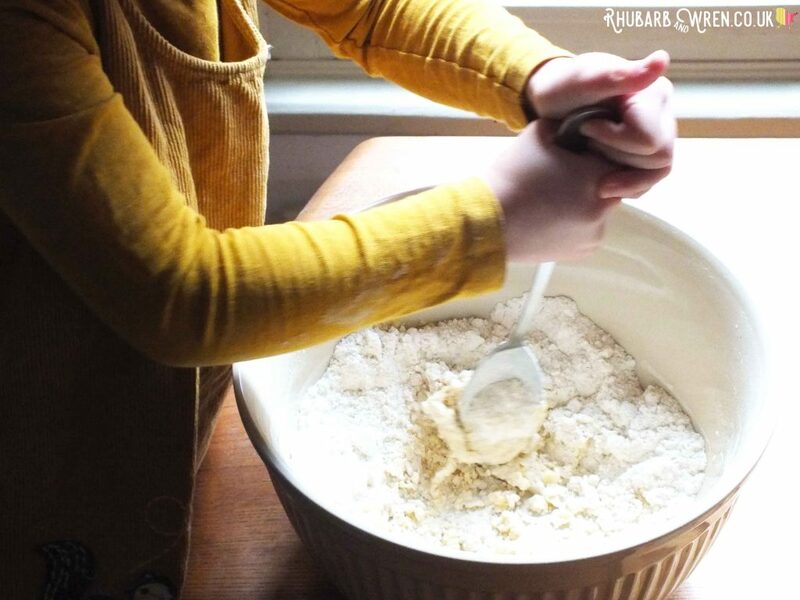 Once you have your dough ball, remove it from the bowl. You’ll probably find it a little sticky but if you give it a good knead, the stickiness should disappear and leave you with a smooth, soft consistency. This bit is much easier than it sounds – the dough is already pretty soft and so it doesn’t take very long to get rid of that stickiness. 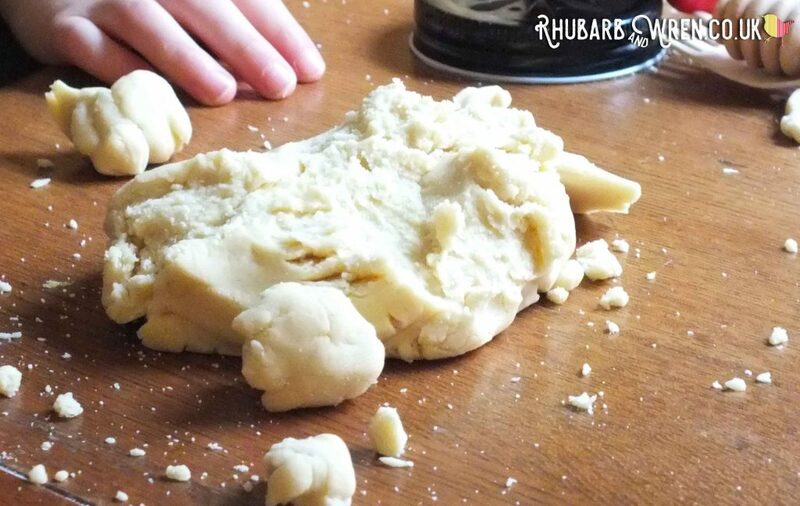 Kneading playdough is great for building hand muscles. Getting a non sticky dough requires a bit of kneading at the final stage. … Too Sticky! 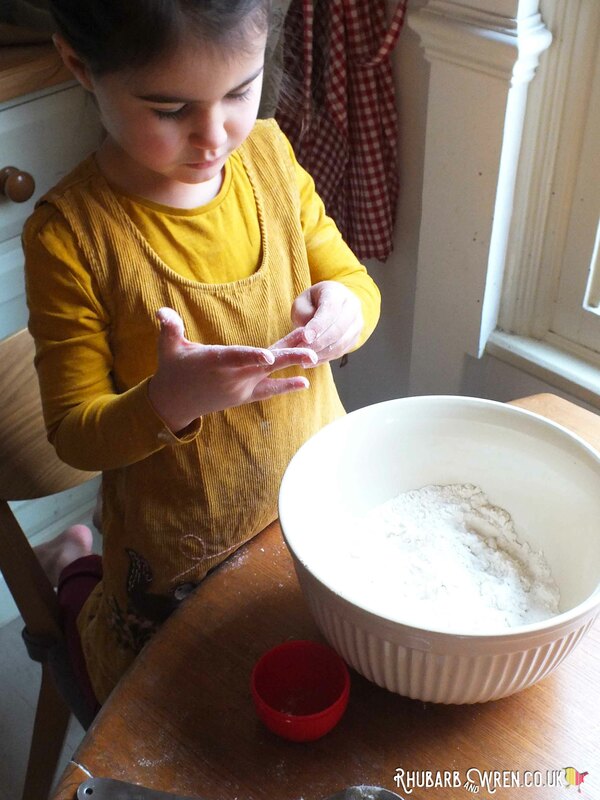 Put a little bit of flour on your hands and table if the dough remains sticky, and carry on kneading until it becomes soft and smooth. The more you handle it, the better it should get so only add a little extra flour at a time. …Too Dry/Crumbly! Put a little of the oil on your hands and knead the dough some more. Don’t add more water – you need the oil with its binding properties to hold everything together. Adding more water at this stage will just make a big soggy mess. I find our dough keeps well for several months at least (the longest was well over six months!) but it can get dry and crumbly if left out for long, so needs to be stored in an airtight container when not being played with. This is the main disadvantage of the no-cook method – the versions cooked on the stove top tend to not dry out so quickly. On the plus side – it’s a good way to get the kids tidying up after themselves! As for storage, we don’t bother putting it in the fridge and just store in its container on a cool, dry shelf… but then where we live it rarely (sob!) gets very hot or humid so use your own judgement based on how things tend to last where you are. Playing with play dough is great for all sorts of fine motor skill building. And fun too! 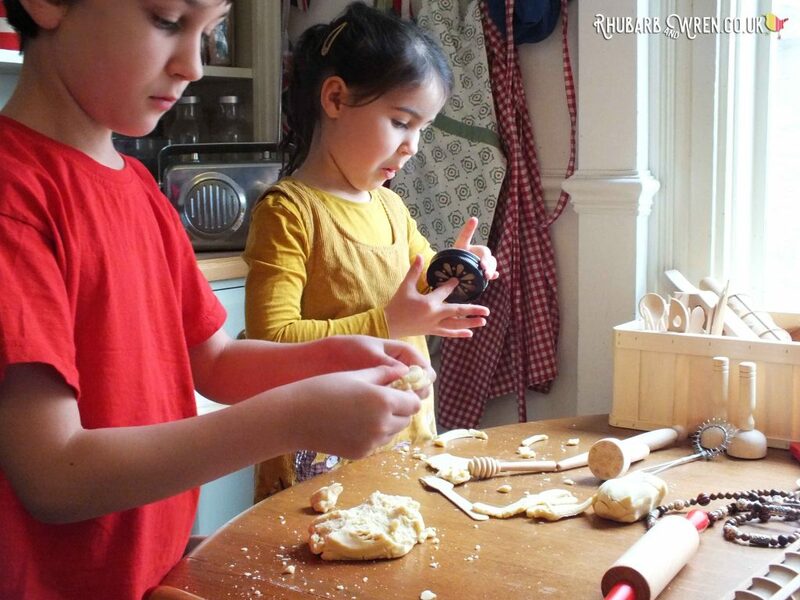 Once you’ve made your play dough, it’s time to get the kids playing! As I’m trying to reduce our use of plastic, I try now to steer my kids away from all the brightly coloured plastic play dough accessories and tools around, and have put together a box of play dough accessories that are or are made from natural materials. Who doesn’t love a rummage? These tend to be far more ‘open ended’ than traditional store-bought accessories and so I’ve found the kids’ play dough play has become much more imaginative and engrossing than before. 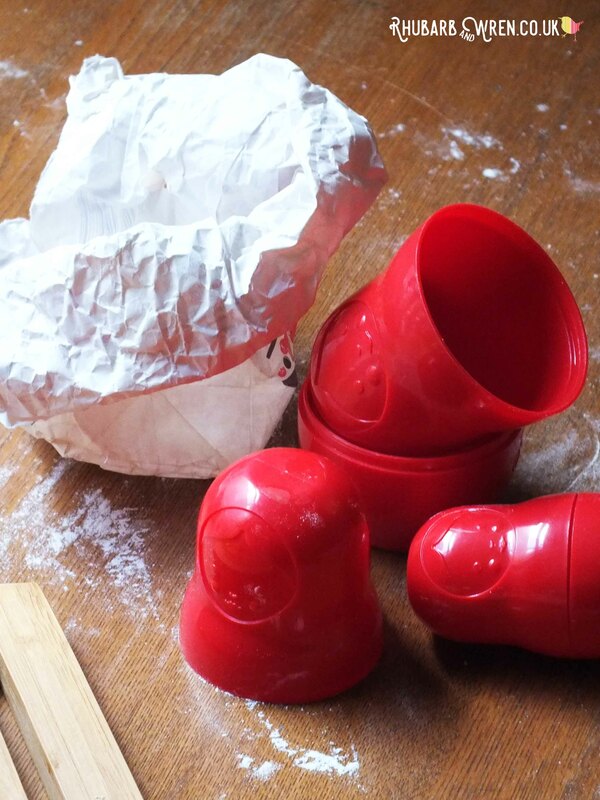 If you’d like a closer look at the things we use, have a look at my post on No-Plastic play for Play Dough. Looking for more play dough fun and things to do with the kids? Check out some of my other posts! 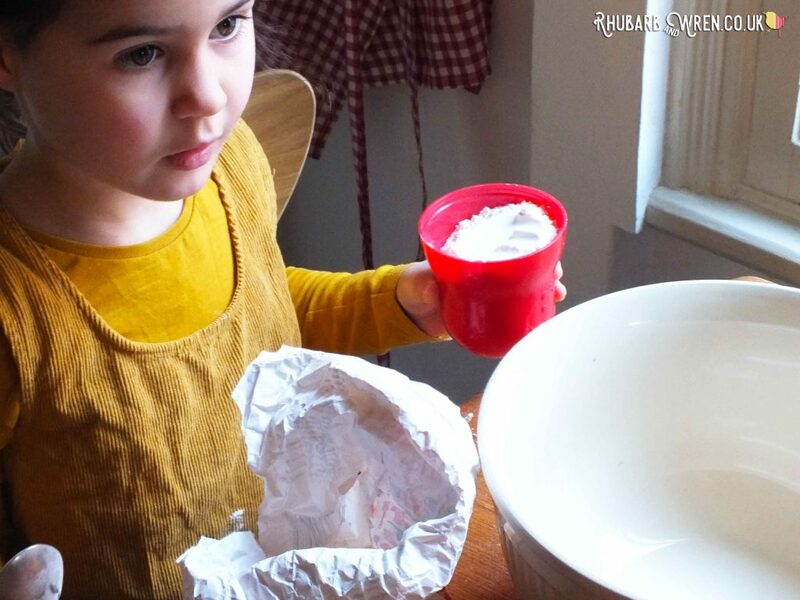 A DIY "Make Your Own Bog Baby Kit"
How to make home-made blue play dough and decorations to create the ultimate 'Bog Baby' kit to go along with this enchanting springtime story about two sisters who catch a magical Bog Baby while pond dipping in bluebell woods. 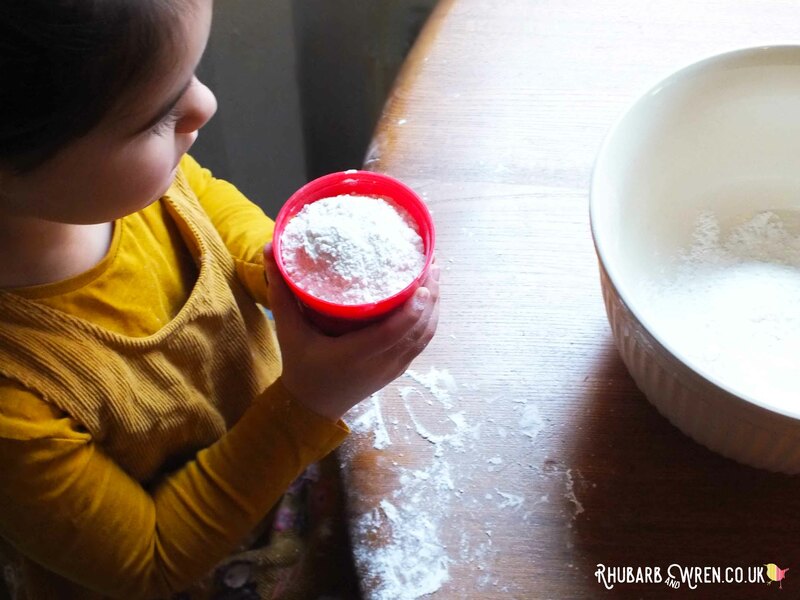 The cleanest messy play in town! Kid-Made, Play Dough, Recipe. Bookmark. Sounds fab. Pinned. Been meaning to try this. 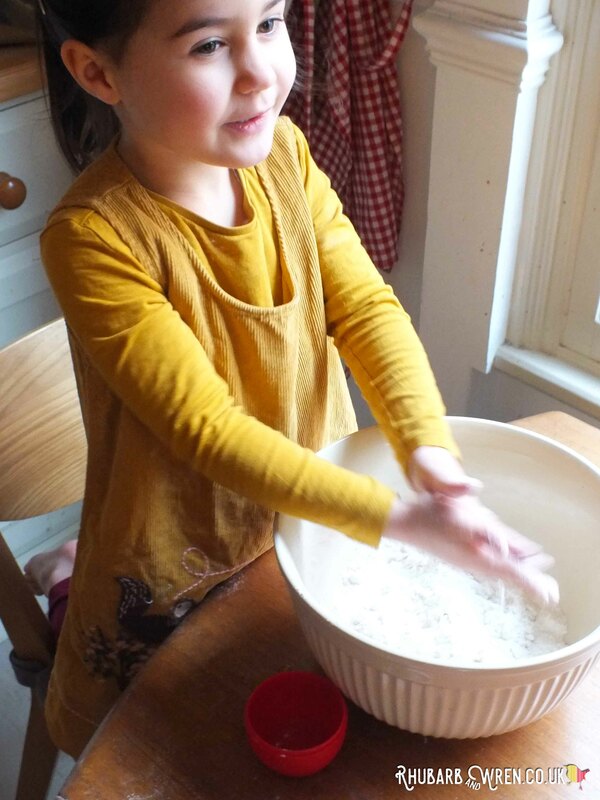 It’s so easy – I never buy play dough any more! 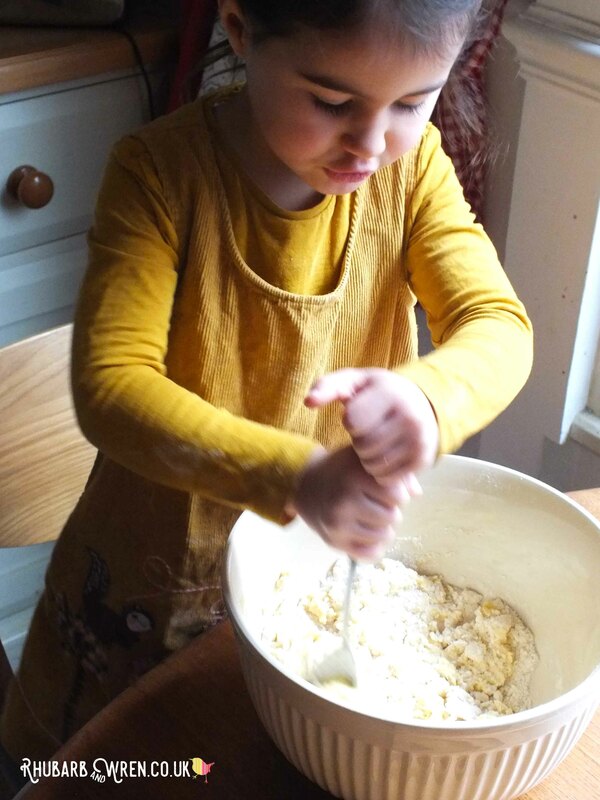 This recipe makes a winning play dough – thank you! Perfect texture with enough elasticity to keep it pliable but not too crumbly. We’ve made green monsters out of the first batch and are already looking forward to more messy adventures.